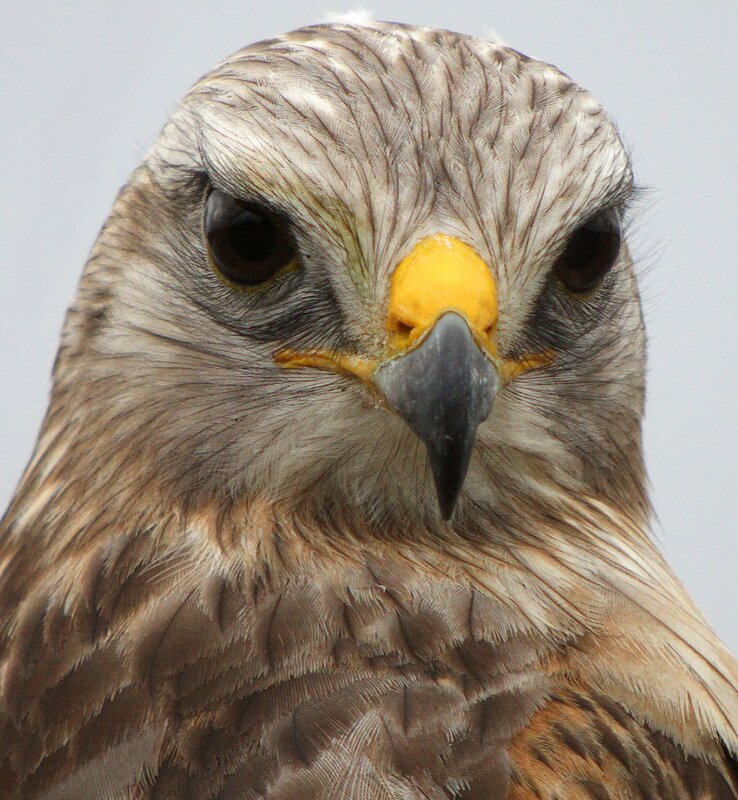 Buteo lineatus, the Red-shouldered Hawk, is a gorgeous bird. Before January I had come across the very red birds of the western United States and the “normal” birds in the eastern part of the country but when I first laid eyes on the pale form of Florida I felt like I was seeing a whole new bird. 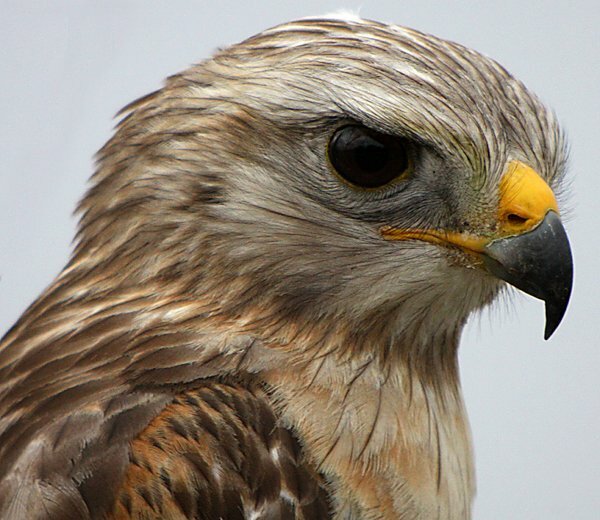 The pale Red-shouldered Hawks of Florida are, to use just one word, beautiful. 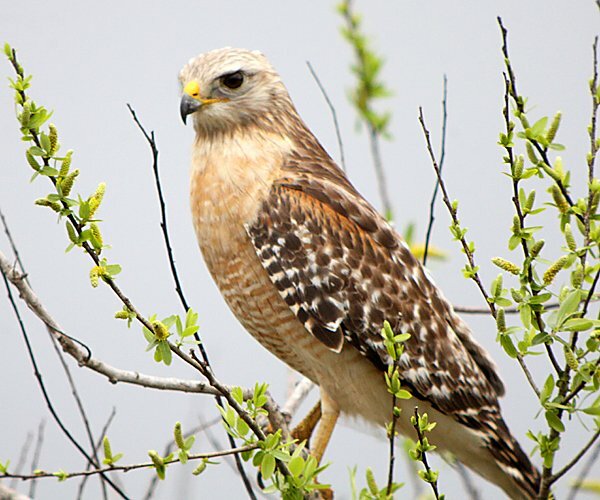 The paler form of Red-shouldered Hawk is one of two subspecies, both, so far as I can figure out, confined to Florida, and mostly south Florida at that. They are Buteo lineatus extimus and Buteo lineatus alleni. I have no idea which subspecies is the one that I spotted, or even if I saw both, but does it really matter? Just look at this bird and tell me that you couldn’t look at it all day. Virtually everywhere I birded during my trip to the Space Coast Birding and Wildlife Festival I would come across at least one or two red-shoulders and each and every time I had to stop and stare. The most cooperative bird was the one that is featured above and in all the close-up shots in this post. It was at the Blue Heron Wetlands in Titusville and it actually perched next to my car and let me digiscope it from my driver’s seat until I took pity on the photographer in the car behind me and moved on to let him have a turn with the amazingly cooperative bird. 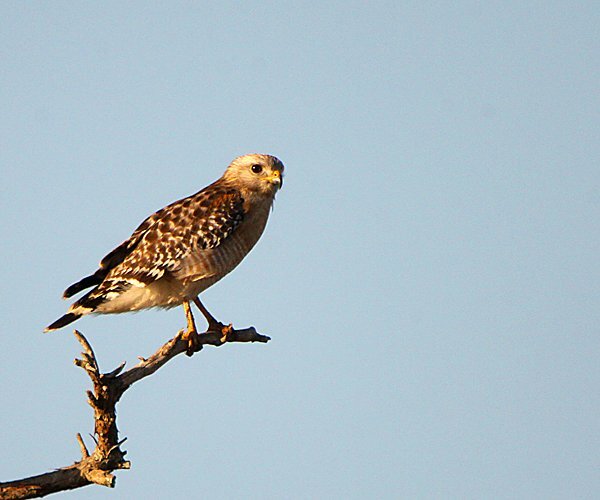 Enjoy these shots of Florida Red-shouldered Hawks and get out there and see your own! The next two shots are of a first-year bird. 10,000 Birds is a Scrub Jay-level sponsor of the 15th Annual Space Coast Birding and Wildlife Festival. 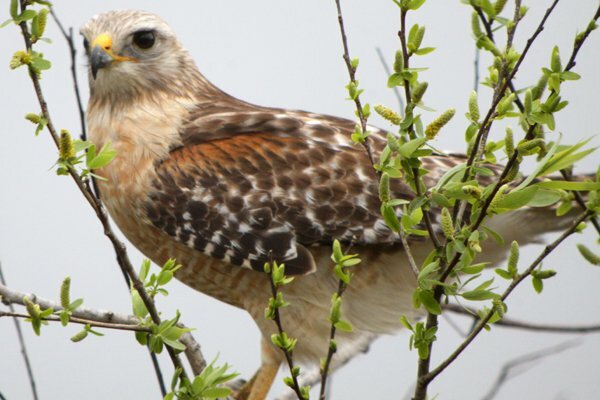 It’s funny because I started birding just over 3 years ago while living in South Florida, and these are the types of Red-Shouldered Hawks that I’m used to. They were the norm for me. 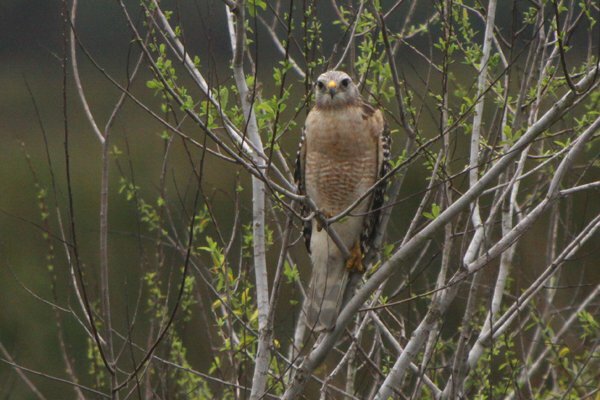 But now having moved up the coast to Georgia, I’ll have to get acquainted with different-looking Red-Shouldered Hawks! And I haven’t seen nearly as many as I used to see down there. I couldn’t look at it all day. Florida is just too far from Germany for my bins to allow me a look. Ha! I loves me some extreme close up shots, like these and others you frequently post. There’s a lot to learn in there. @paul tirelli: Red-shouldereds are actually well-known for making like robins and going after worms. I’m glad you got to see such interesting behavior for a hawk. 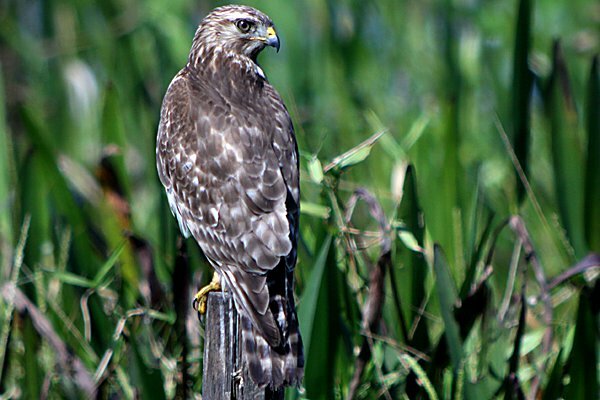 I too just spotted my 1st Red Shouldered Hawk several days ago perched near the top of a tall pine along a canal in Largo, FL. I’ve seen several Coopers Hawks in this same area & thought it was one at first. After reviewing my photo’s, I had to search til I found out what I had photographed. What a beautiful bird it is! I will keep an eye out for him again whilst walking. Your photo’s are beautiful, thank you so much for posting. So happy to have viewed the close ups as my camera didn’t cooperate as well for me! I just took a picture of this bird off my deck in San Diego, Ca. Not twenty feet away from me. I would love to show you the picture so you can tell me I am wrong. Please email me so I can send it to you. 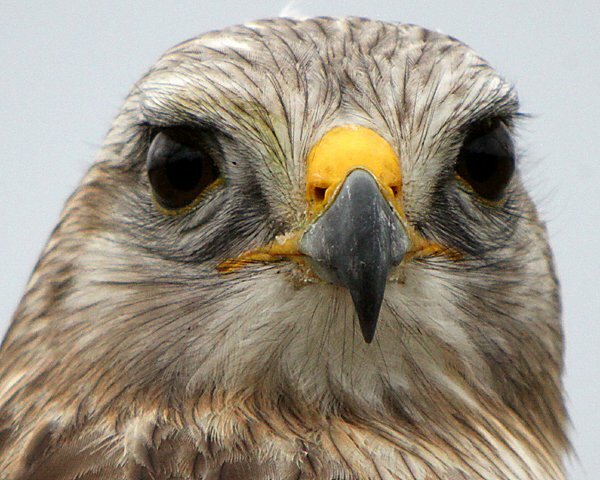 I’ve been seeing these magnificent birds all over central Florida and was unsure what type of bird of prey they were until I did a Web search. Beautiful birds. I was just watching one perched up on a tree about 20 yards away and I played a sound clip of a red-shouldered hawk through my phone from the Wikipedia website. Well that caused the hawk to fly off. Lol. Won’t make that mistake again they are great to observe. Thanks for the pictures and the post great site. Watching, and listening to, a couple of these beauties in my in-laws’ backyard in Titusville, FL!! Gorgeous birds indeed! My 20 month old daughter was very excited about them too, though her overly protective grandfather is cautious because he doesn’t want the hawks to pick her up and carry her away! Just wanted to add that I love watching them hunt and look for prey. My girlfriend and I once saw one feasting on a snake up on a tree branch, and recently we observed one swoop down and catch a lizard. 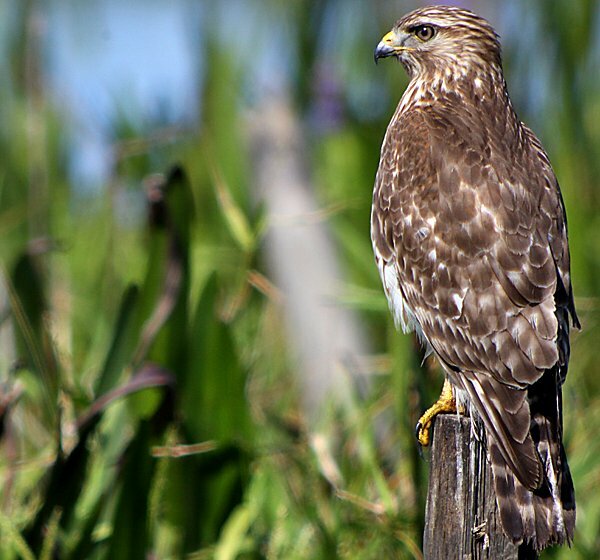 The lizard tried to escape into a patch of St. Augustine grass but the hawk would not be denied its afternoon snack. Meal worms aren’t just a good source of niacin (B3), they are also a good source of B6 and B12. 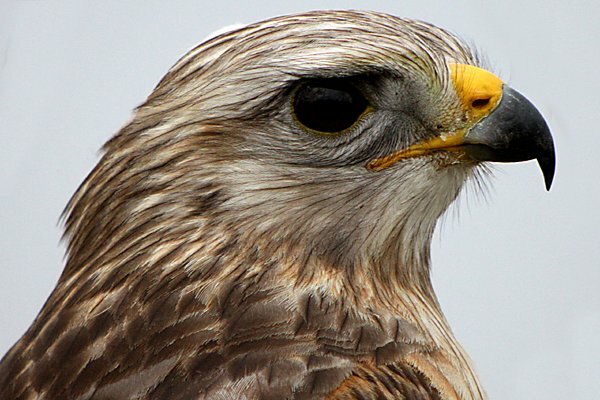 In addition they are an excellent source of animal protein and the kind of fat raptors need for energy. This is why I suggested the meal worms for this particular bird. They are more likely to consume meal worms (or similar) in the wild, than they are to consume rice or other grains; they are meat-eating birds. Pretty sure this exact bird just landed on my deck, stared at me through the window and flew away. In Newport News, VA. I have lived all over the state of Florida since junior high, 1962 . Just shot a video of a red shoulder, using my iPhone in slow motion. I will send it if you would like to post it. I would like to spend about 300$-600$ on a camera and xtra lens. Any recommendations ?